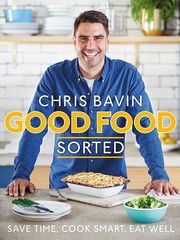 After eagerly awaiting the release of Chris Bavin's new cookbook Good Food, Sorted, it has finally arrived on our shelves and so we asked a few members of our team to have a go at making a few of the recipes at home. Read on to see what they thought! 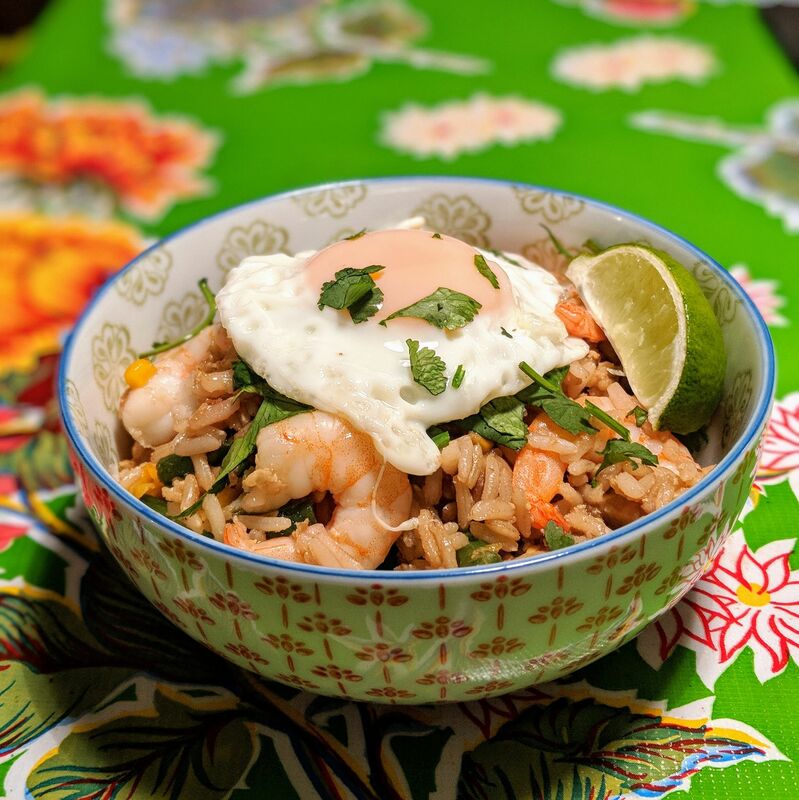 What I thought: I wanted to make a recipe that was quick and easy and that both my children (one fussy, one not) would eat, so chose the Cha Han (Oriental fried rice) as they both enjoy a Chinese takeaway. I didn't have exactly the ingredients in the list, but as Chris says, this is a recipe where you can 'flex the flavours' depending on what's in the fridge and great for using up leftovers. So I used sliced green beans instead of mangetout and my chicken was already cooked so I missed out the marinading bit and just added the sauce when the prawns were cooking. 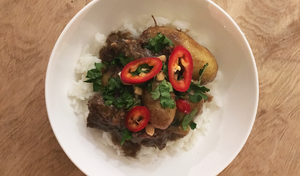 The result was really tasty - and actually much fresher and flavourful than a takeaway - and the recipe was so easy to follow it was almost as easy as ordering one! We especially liked the twist of having a fried egg on top. A great, easy dish. What I thought: I loved this recipe because it was just so easy to throw together. I must admit I had to substitute the lamb mince for pork mince - a classic case of the supermarket running out of a crucial ingredient! But pork worked really well as a substitute. 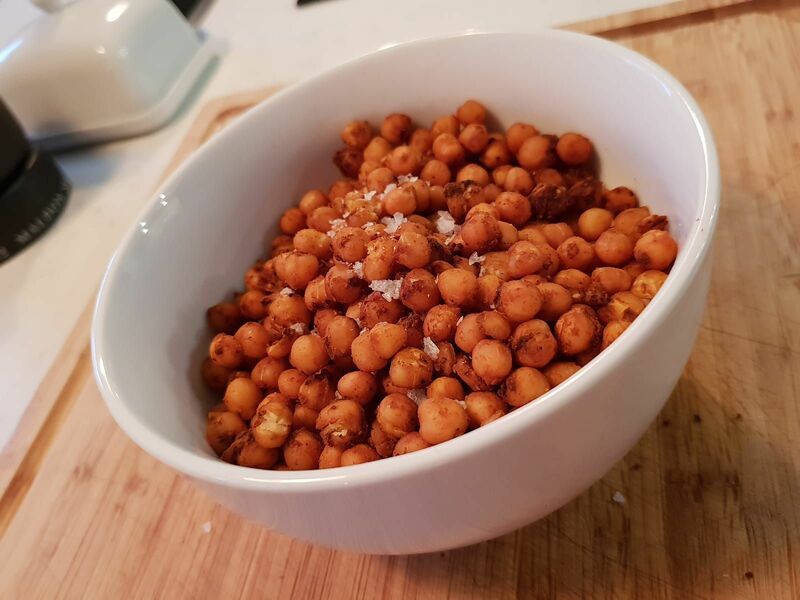 Mixing all of the meatball ingredients together and rolling them into balls took a matter of minutes, and the Middle Eastern spice blend Chris suggests was simple to put together, warming and with a hint of heat. Putting the meatballs straight into the oven to bake rather than having to fry them off first saved loads of time (and washing up!). Whilst the meatballs baked for 10 minutes, it was easy to cook up a simple tomato sauce, frying off onions and a little garlic with cumin, cinnamon and chilli to release the flavours and adding passata. 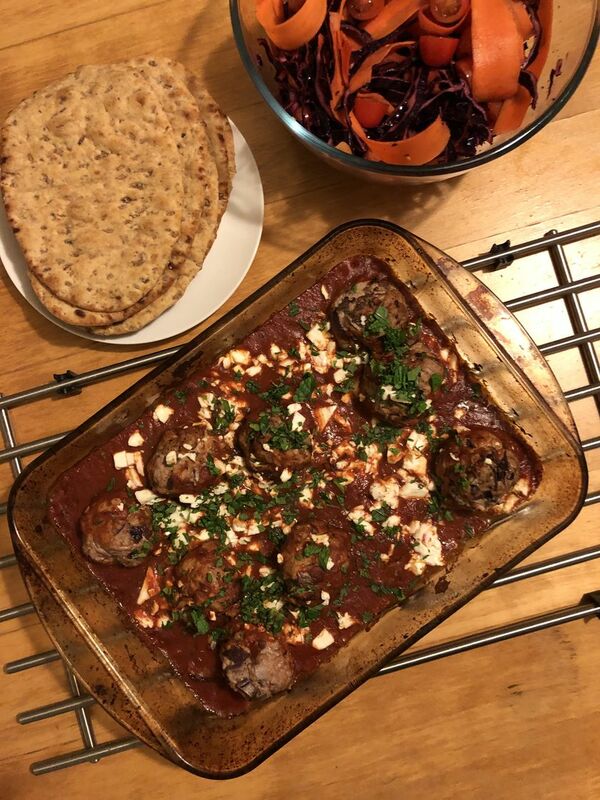 Then it was a case of simply pouring the sauce over the now browned meatballs, sprinkling with feta, and returning them to the oven to bake for the last few minutes. 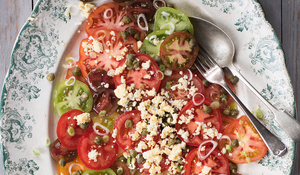 Garnished with fresh mint and served with flatbreads, this was the perfect mid-week meal. We added a quick salad of red cabbage and carrot on the side too. I loved Chris’ tip for doubling the ingredients and batch-cooking the recipe, and freezing the meatballs before you cook them so you have enough for another time. Extremely easy and very tasty, this is one that will make it on to our favourite meals I’m sure.Looking forward to trying it again, with lamb next time! 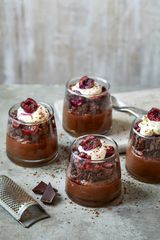 What I thought: This recipe caught my eye when looking through the book, as it seemed like a great snack option for my children, aged 6 and 3 years. They are always particularly hungry in the stretch from school to dinner and I liked the idea of giving them something substantial and filling, but not so heavy that it would stop them eating their evening meal. Checking the ingredient list I already had everything required but in additional to regular ham I purchased smoked salmon and some Parma ham so I could experiment with each option to see which one worked best. I found the prep work simple and the children were able to help too which was a really nice way to get them looking forward to the end product. 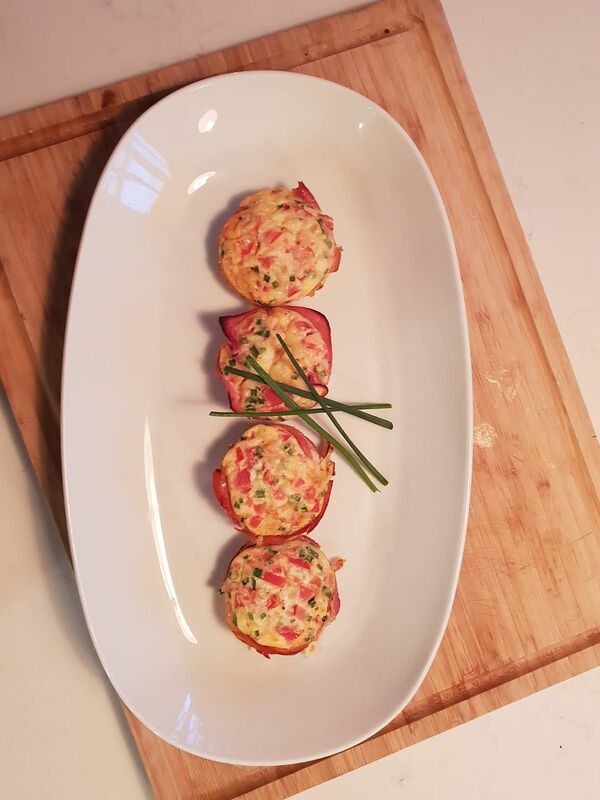 We lined the muffin dish so we had 4 bases using ham, 4 using salmon and 4 using parma ham and then poured the mix in as detailed in the recipe. We left them in the oven for 15 minutes and when we took them out the muffins did still wobble as though not yet ready – I’m glad we stuck to the recipe’s advice on the cooking time however as once cooled they set perfectly as described. Even better, the taste test was really successful! The children tried all the flavours and my youngest (normally a bit of a fussy eater) favoured the smoked salmon one of them all, which was a real surprise. My only change would be to line the muffin dish with a little more oil when I do the next batch to make it easier to lift them out of the tin once cooked. This will now be a staple snack in our household, my children even asked for them for breakfast the next day! What I thought I have recently changed my diet to be more mindful of healthy food choices, and have also introduced a few more vegetarian / vegan options to my week. 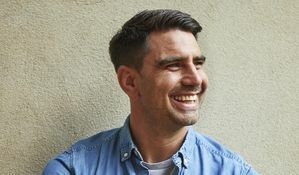 I realised as part of this how important snacks are so I was really keen to try these out in the hope that they would provide a quick, easy snack that would fill me up enough to last between mealtimes – and they did just that! Very impressed by this recipe and feel inspired to mix up the spices as suggested in the footnote, I’m keen to try different flavours in the future! 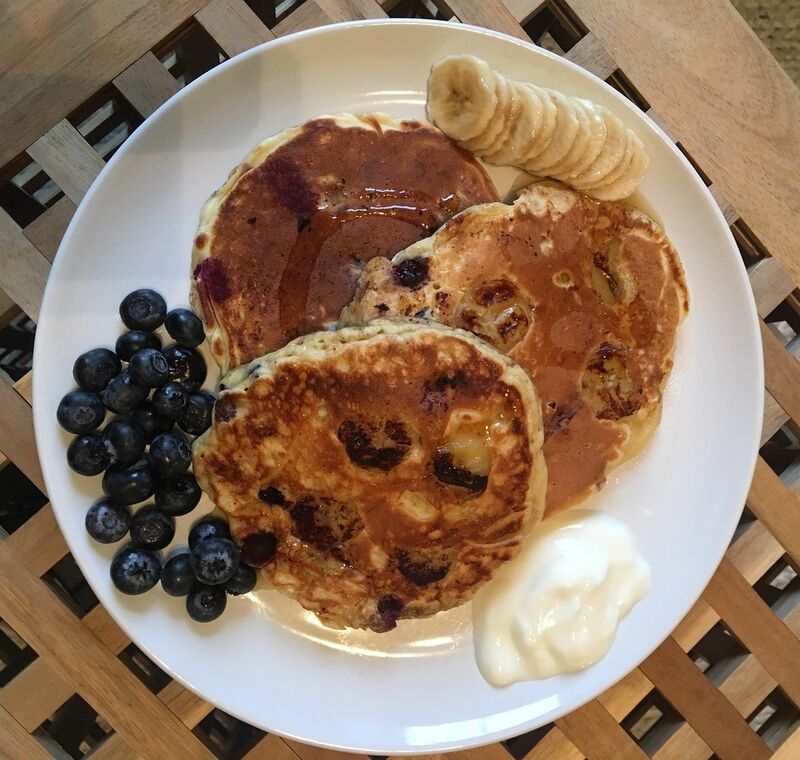 What I thought: What attracted me of this recipe was the use of oats and blueberry in the mix; they both worked really well in terms of giving the right consistency and taste to the pancake. Each pancake came out super tall and extra fluffy, and the recipe is sugar free which is a nice plus! What I thought: It was a very easy recipe to follow and didn't take long at all which makes for a great dish to whip up on a weekday night. The simple additions of sage and lemon zest meant that it tasted great even though minimum effort was required! 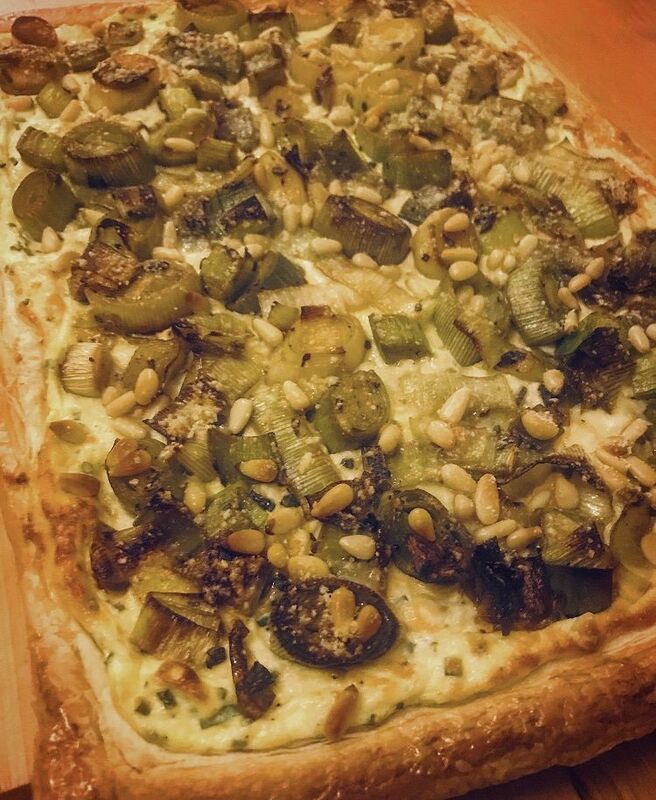 Would definitely make again and recommend to friends for a simple, tasty vegetarian dish. 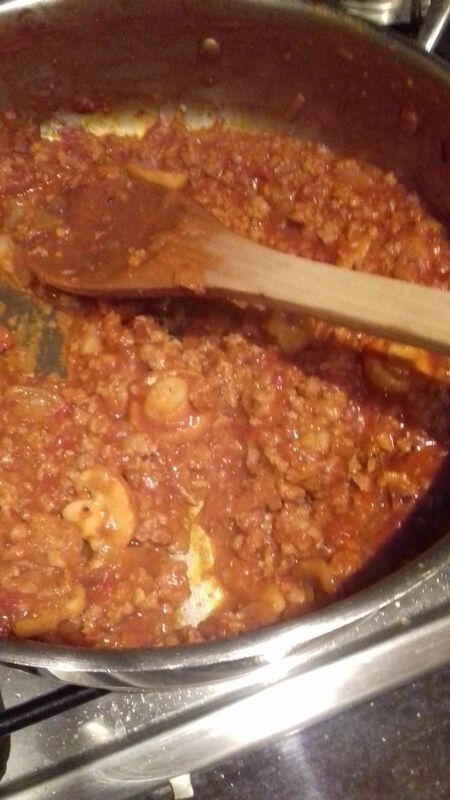 What I thought: The recipe was really quick and easy to make which is great when you have a baby to put to bed! I really liked how it was so filling with the sausage and the pasta as well as the health benefits of the mushrooms and the kick of the hot smoked paprika. It would have been easy to freeze and eat later in the week but it was eaten too fast for that to be an option! I would definitely make it again, maybe adding more vegetables to get a few more of my 5 a day in there. 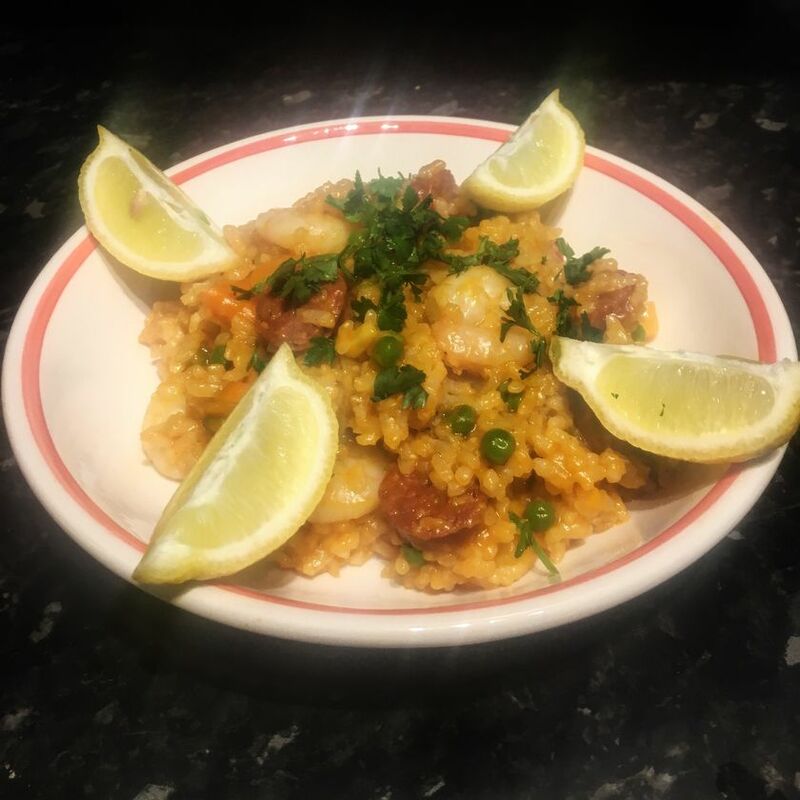 The Weekday Paella from Good Food, Sorted was a quick, easy and tasty midweek meal. 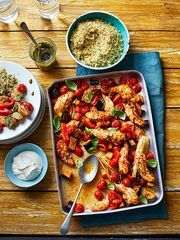 A one-pot wonder, the recipe only has four steps meaning it didn't feel as laborious as some rice dishes. It was flavourful without requiring too many ingredients and took less than an hour to make. I began by frying the onions, garlic and chorizo before adding the rice. As instructed I poured all of the stock in to the pot in one go and left it to simmer, then it was just a case of adding the prawns and peas for a few minutes at the end. 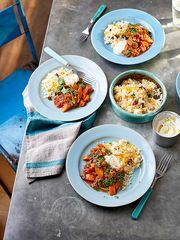 I especially liked the bonus recipe at the end with ideas on how to make the most of any leftover rice.